'll be celebrating more tomorrow than today since hubby is racing RC cars tonight and I'll be at a Homemaker's meeting here in town. Susan has some lovely recipes for Irish Soda Bread and Irish Tea Brack that you can try if you are tempted. She shared her Tea Brack recipe when she was the featured blogger here last year. I loved her answers and knew we were kindred spirits as soon as I read her childhood book favorites. 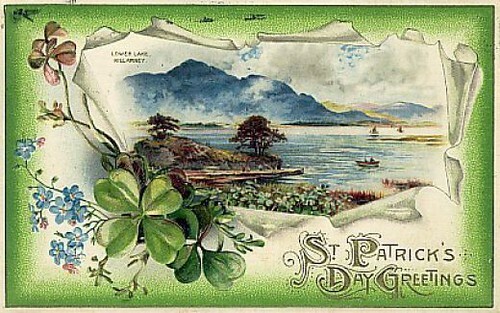 I do hope you all have a lovely St. Patrick's Day! Happy day to you too! And I LOVE your Spring Cleaning list! Happy St Paddy's day to you to.